1. Facebook has become the home computer or the internet in your laptop. 2. You change the status of more than two times a day and diligently on friend status changes. 3. Your friend's list already exceeds the number 500 and half of the almost unknown. 4. When you're away from your computer, you mencek facebook via BlackBerry, iPhone or other smart phone. 5. Diligently read the profile friend more than two times a day, although he does not send a message or men-tag in your image. 6. You change your profile picture more than 12 times. 7. You read this article while mencek facebook. 8. You clean the "wall" that has been shown not to fb. 9. You become a member of more than 10 groups and respond to any invitation even though not actually interested. 10. 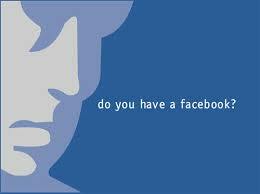 You change your relationship status to only increase in popularity of facebook.